Over time, our teeth become weakened and damaged due to normal wear and tear. Dental fillings, made of composite resin, are an effective solution to repair cavities and other tooth problems. Fillings, also known as direct restorations, are placed into a prepared cavity to restore the health of an adversely affected tooth. Made of a white composite material, “tooth-colored” fillings leave treated teeth virtually indistinguishable from existing teeth. 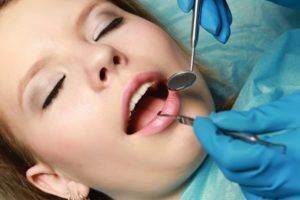 An experienced dentist at Martin & Winkler can apply dental fillings in Syracuse in just one visit so you can enjoy your healthier smile in no time. 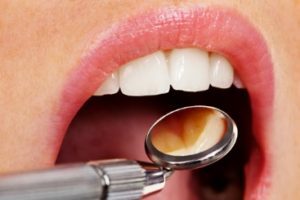 Are You in Need of Dental Fillings? The first step of a dental filling treatment in Syracuse is to identify and remove any tooth decay. To do so, we will thoroughly examine your teeth and possibly take x-rays to determine the extent of damage. Be advised that depending on the extent of tooth decay, we may recommend an alternative treatment, like a dental crown, for greater coverage and protection. Once the damage has been identified, we will numb the affected tooth with local anesthetic to minimize discomfort during treatment. We will then use a handpiece to remove the dental decay and thoroughly clean the tooth. Next, we will apply the composite filling material where the decay was removed and use a special curing light to harden it. Once the tooth is filled, we will check your bite to make sure your teeth fit properly together, and make any final adjustments if needed. We then smooth and polish the filling so it matches the look and feel of your natural teeth. With proper care and attention, dental fillings can last for many years. During your appointment, we can give you additional instructions and tips for caring for your filling. If you are seeking cosmetic filling treatment in Syracuse, contact the cosmetic and restorative dentists of Martin & Winkler today!